As the Lois McClure travels the interconnected waterways of the northeast, it is not very often that the crew encounters a sailing vessel of significantly greater size. However, as we slowly labored against the swift current just down river from the Old Port in Montreal, we noticed a much larger schooner traversing the river ahead of us. It turns out that our new dock mate was the Empire Sandy, which was advertised as the largest passenger sailboat operating in Canada. It was big. Measuring 203 feet from bow to stern and weighing in at 740 tons, she was one impressive ship. Besides being big, she also had a very interesting history as well. 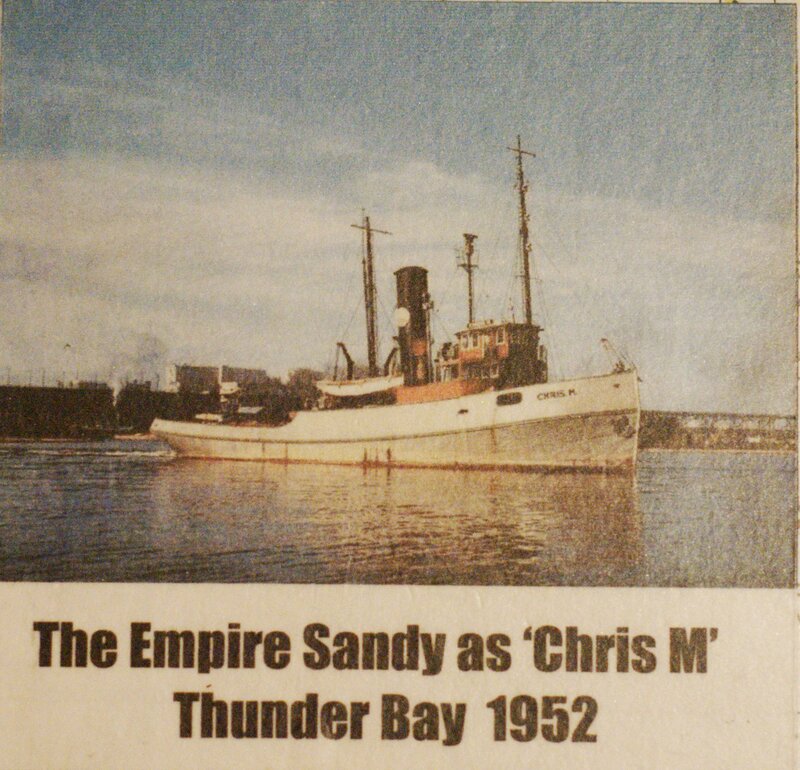 The Empire Sandy was laid down in the shipyard of Clelands (Successors), on Dec 22, 1942. 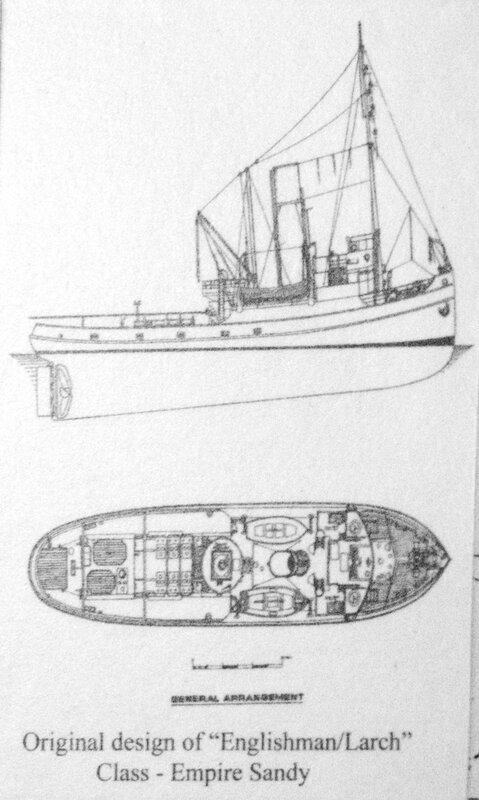 She was built as an Englishman class deep sea tug with the added provision for mounting two Hotchkiss AA guns. She served in the North Atlantic all the way from Iceland to Sierra Leone, the Mediterranean Sea, Bay of Bengal and the Indian Ocean during WWII. After her service, she underwent many name changes as she was bought and sold a couple of times. Luckily, just before she was to be sold for scrap, the Nautical Adventures Co. bought her and through lots of work she was transformed into the three masted schooner she is today. Generosity seems to bob in the Lois McClure’s tiny wake and when it came to the crew of the Empire Sandy they were no exception. We were all offered the opportunity to travel on the boat when she went out for one of her cruises free of charge. Not wanting to pass up such an amazing occasion, Sal and I decided to see what it was like. It turned out to be really neat. The crew gave us a nice tour and answered all of our questions. On top of that they offered Sal and I the chance to help them when it was time to furl the sails. The crew has perfected the showy way of furling by walking along the boom and furling with their feet, before swinging down on one of the halyards and looking like a classic adventure hero. While I didn’t perform the acrobatic part of the furling, I still had a great time helping out. Thank you to the captain and crew of the Empire Sandy for a fantastic cruise!